Our February guest speaker, Jean Tyler of Waverly Brook Farm, will be talking to us about Biodynamic Methods: healing of the land community. Jean and her husband Godfrey use biodynamic agricultural methods to farm their family’s fifth generation century farm in the Haliburton Highlands. Biodynamics is a holistic, ecological and ethical approach to farming, gardening, food and nutrition. 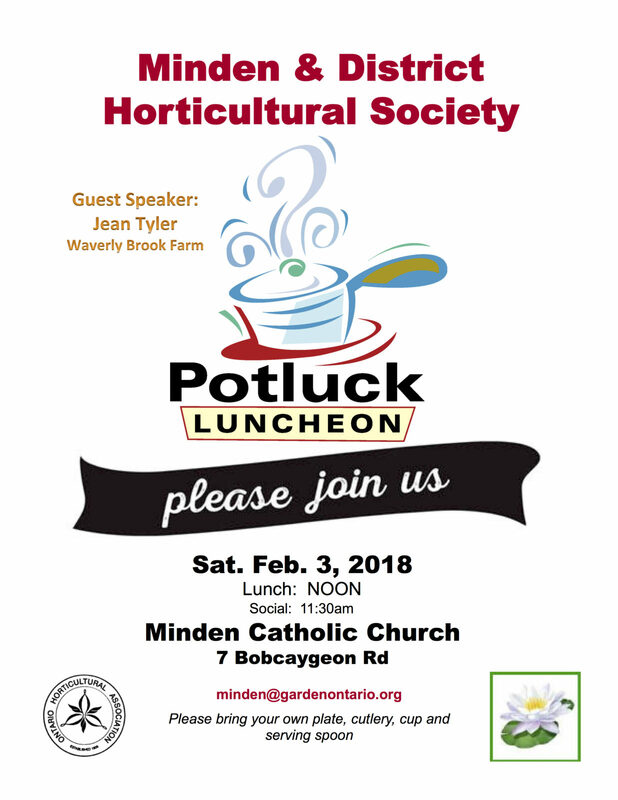 We are back at the Catholic Church on Bobcaygeon Road for the 2018 luncheon.